Have you ever wondered how you can connect with a man’s heart? 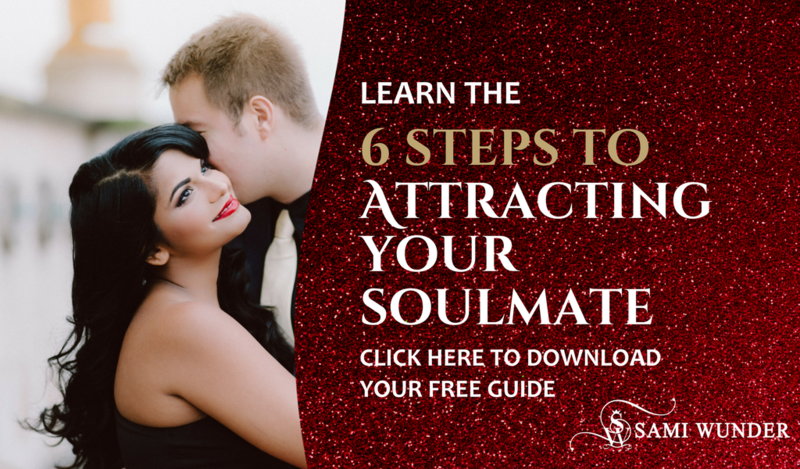 If you’re anything like I used to be when I was single, the moment you like a man or find him attractive, you go into over-thinking mode and analysing how you can please him, capture his attention and connect with him at a deeper level. And you know what? This behaviour is counterproductive to the goal you want to achieve, because when you’re up in your head thinking and analysing, you’re cut off from your heart, the emotional realm where love and romance develops for a man. In this video that I’ve recently done for my Facebook business page, I give you 3 simple steps on how to connect with a man’s heart and help him access his emotional realm in your presence. What most women out there don’t know and I didn’t either in my single days, is that the way to connect with a man’s heart is by way of connecting with your own heart. We connect with our own heart by tuning into our own feelings in the presence of a man, and then expressing them to him. Most of us, who are strong and successful women, usually cope with our days by being in a lot of masculine energy. We get things done, organise, plan, lead, manage our homes and kids and, in doing so much, we often suppress our emotional side. It is this connection with our emotions and feelings that actually helps a man bond with us and feel with us and for us too. If you struggle with emotional expression, here is an excellent baby step to start practising. When your date or your boyfriend or husband asks you how your day was, instead of answering with your auto-pilot answer of “It was great, it was fine,” answer instead by sharing how a moment during your day felt! While this may look simple at first, just the act of using the word “feel” and sharing your feeling state with the man will trigger a sub-conscious emotional response within him. Connecting with your own feelings and expressing them is one of the most powerful ways you can foster emotional connection with a man, effortlessly and while staying completely in tune with your feminine energy. Those awkward moments of silence that you try to fight during your dates or in your relationship, are actually intimacy-building for a man. The truth of the matter is that men don’t feel so frequently, or have as much access to emotions as we do. In those moments of space and silence, a man actually has some time to tune in to what it feels like to be with you. He has the time and space to let his mind calm down and access his emotional space, his heart space in your presence. Having an opportunity to do this, will make him stand out in his mind as the woman he “felt” something for. In order to connect with a man’s heart, one of the most powerful things we can do as women is to be fully present when around him. Being fully present looks like not being up in our heads, being analytical or over-thinking and not worrying about what he’s thinking about us. Instead, we are all about enjoying the present moment and radiating our feminine hearts light. This light is ever expansive and radiates warmth and emotional energy when allowed to be expressed. It is strengthened when a woman takes deep care of herself and is in touch with her gratitude for everything that is good in her life. For those days when it feel harder to feel gratitude or to access your feelings in general, I warmly recommend using my Diva In Life, Diva In Love affirmations audio – this will help you sink deep into your femininity and connect with your own heart first. They will also soften your vibe and prime you to be present and able to just be, feel and express. My affirmations audio is available as part of the Diva Dating Toolkit, along with my best-selling ebook Your Feminine Roadmap To His Commitment and many useful bonuses!